Dr. Evans received his undergraduate degree from Gettysburg College and his medical degree from Philadelphia College of Osteopathic Medicine. He completed his residency in Emergency Medicine at PCOM. Dr. Evans was the Director of Occupational Medicine at CarePlex in Pottstown, PA for 17 years where he focused on Musculoskeletal Care. 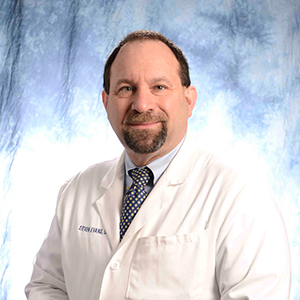 Dr. Evans is Board Certified in Emergency Medicine and specializes in Nonoperative Spine Care.